*കേരള സ്റ്റേറ്റ് ലൈബ്രറി കൗണ്‍സില്‍ ഹയര്‍ സെക്കന്ററി തലവായനമല്‍സരത്തില്‍ അമിത്ത് ടോം ജോസിന് ഒന്നാം സ്ഥാനം *മുഖ്യമന്ത്രിയുടെ ദുരിതാശ്വാസനിധിയിലേക്ക് 2.27 കോടി രൂപയുടെ ചെക്ക് സ്റ്റേറ്റ് ലൈബ്രറി കൗണ്‍സില്‍ കൈമാറി *കേരള സ്റ്ററ്റ് ലൈബ്രറി കൗസില്‍ ഐ.വി.ദാസ് പുരസ്‌കാരം സമ്മാനിച്ചു *കേരള സ്റ്റേറ്റ് ലൈബ്രറി കൗണ്‍സില്‍2018-19 വര്‍ഷത്തെ വിവിധ പുരസ്കാരങ്ങക്ക് അപേക്ഷ ക്ഷണിച്ചു, അപേക്ഷാ ഫോം ഡൗണ്‍ലോഡ്‌സ്‌ ടാബില്‍ ലഭ്യമാണ് *അഖിലകേരള വായനോത്സവം - 2018 പി. ജെ. രേവതിയ്ക്ക്് ഒന്നാം സ്ഥാനം *കേരള സ്റ്റേറ്റ് ലൈബ്രറി കൗണ്‍സില്‍ കോളെജ് തല വായനമല്‍സരത്തില്‍ ശരത് എക്ക് ഒന്നാം സ്ഥാനം *KSLC ലൈബ്രറി സയന്‍സ് സര്‍ട്ടിഫിക്കറ്റ് കോഴ്സ് പരീക്ഷാഫലം പ്രഖ്യാപിച്ചു, വിശദാംശങ്ങള്‍ ഇവന്റ്‌സില്‍ ലഭ്യമാണ്‌. * ആർ.ആർ.ആർ.എൽ.എഫ്. ഗ്രന്ഥശാലാ വിവരേശേഖരണത്തിനുളള ചോദ്യാവലി ഡൗൺലോഡ്സ് ലിങ്കിൽ ലഭ്യമാണ്. 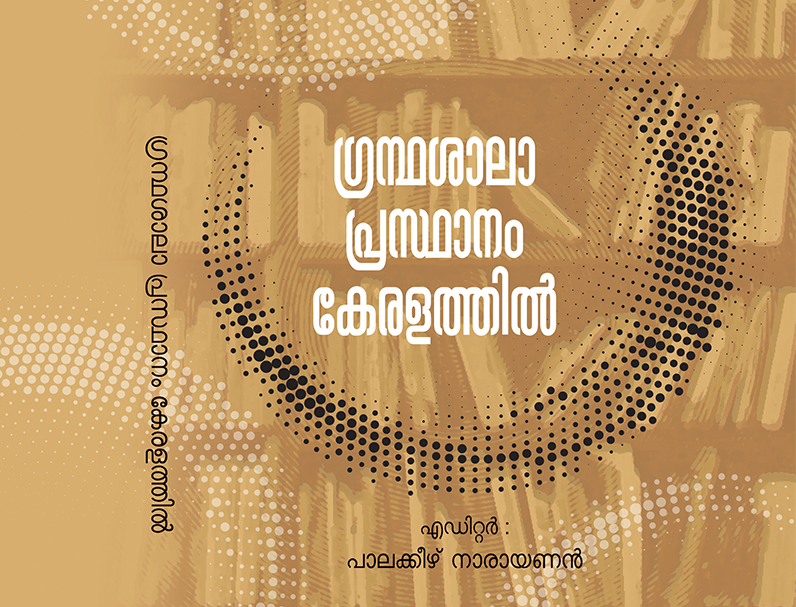 Public Library Movement in Kerala is older than of any other state in India and is unique in many respects. In the erstwhile Travancore, Cochin and Malabar which formed the constituent areas of the present Kerala State, Public Library Development occurred at different period. There were several illustrious forerunners to the Grandhasala Sangham. In fact, the early beginning of public library movement goes back to the time of Swatithirunal, the visionary king of Travancore. The Thiruvananthapuram Public Library was established in 1829 the year in which Swatithirunal ascended the throne, seven years before the Calcutta National Library (1836). On 14thSeptember 1945 under the initiative of Sri. P.N. Panikkar 47 representatives from libraries across Travancore met in a conference at Ambalappuzha. In this meeting an organization of libraries was formed under the banner Akhila Thiruvithankoor Granthasala Sangham This is taken as the official beginning of the Kerala Grandhasala Sangham. In the princely state of Cochin library movement became popular with the advent of the nationalist movement even though the Ernakulam Public Library was started much earlier. In 1949, with the merger of the two princely states of Travancore and Cochin the Travancore Grandhasala Sangham became the the Thiru- Cochi Grandhasala Sangham. With the formation of the linguistic state of Kerala in 1956 the three former political units were united. A common apex body covering the entire state became an imperative. In 1958 Kerala Grandhasala Sangham came into existence, with a governing body elected from among the library workers of the State. In the meantime there were attempts from the part of the Government to undermine the democratic character of the Granthasala Sangham and consequent popular resistance against such attempts. Library activists throughout the state were in the forefront of such struggle .The popular democratic character of the library movement was restored with the passing of the Public Library Act of 1989. The Act ensured the participation of library workers in the running of libraries at all levels and protection of affiliated libraries. The Act succeeded in converting the Library Council into an independent people’s cultural statutory body. As per the Act, after elections at all levels, the first Library Council assumed office on 27th April 1994.